Aviator hat detailed with sheared rabbit fur Snap button strap Leather Lined Fur type: sheared dyed rabbit Fur origin: China Dry clean by fur specialist Imported. 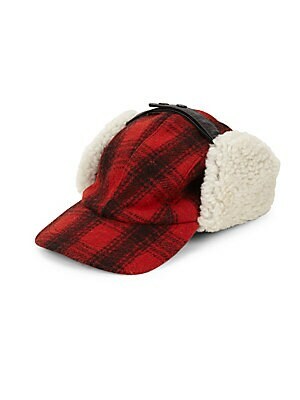 Men Accessories - Cold Weather Accessories. Crown Cap. Color: Black. Size: Large. Aviator hat detailed with sheared rabbit fur Snap button strap Leather Lined Fur type: sheared dyed rabbit Fur origin: China Dry clean by fur specialist Imported. Men Accessories - Cold Weather Accessories. Crown Cap. Color: Black. Size: XL. 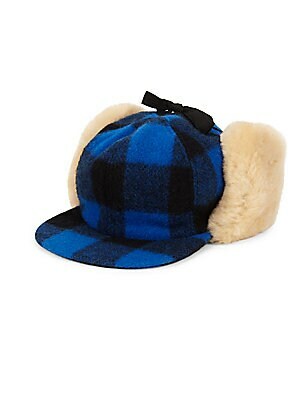 Aviator hat detailed with sheared rabbit fur Snap button strap Leather Lined Fur type: sheared dyed rabbit Fur origin: China Dry clean by fur specialist Imported. Men Accessories - Cold Weather Accessories. Crown Cap. Color: Brown. Size: Large. 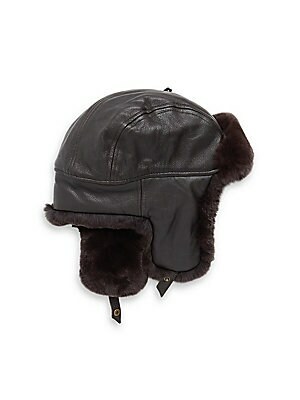 Aviator hat detailed with sheared rabbit fur Snap button strap Leather Lined Fur type: sheared dyed rabbit Fur origin: China Dry clean by fur specialist Imported. Men Accessories - Cold Weather Accessories. Crown Cap. Color: Brown. Size: XL. 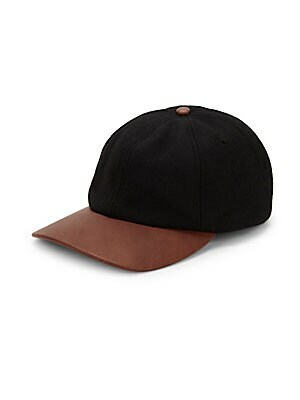 Wool blend baseball cap with leather brim. Adjustable back strap Wool/leather/polyester Dry clean Made in Canada SIZE Brim width, 7.5". 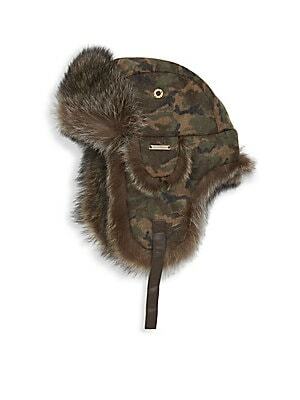 Men Accessories - Cold Weather Accessories. Crown Cap. Color: Black.